It probably has happened to you. In fact, it has happened to all of us. You’re thinking of something else while shopping, eating, going to the movie, or some other things that might occupy your time and then when you come to your car or house, you reach in your pockets for your keys, and voila! They’re not there. You panic. Did you drop them somewhere? Did you put it on a table and left it behind? Did anyone else take them from you? How are you going to get in your car and go home? How are you going in your home? Most people will be familiar with the sense of panic that rises up immediately after finding out that a key is lost or misplaced. It is also considered to be most unnerving during the night, and your miles away from home, or if you are in the middle of a bad weather, more so if you have kids with you during a lockout situation. The first thing you need to do in a lockout situation is to remain calm. Fight down any feeling of panic, and be patient with yourself and those who are in the situation with you. Check for any spare key that you may have hidden somewhere. Most people forget that they may have hidden a spare key somewhere within their property until a situation calls for an extra key. Before you contact any professional locksmith service, make sure that you have scoured your property for any spare key that you may have kept somewhere. Contact a member of the family or a friend who have keys to the house for you to use. If you live with other members of your family or are sharing a flat with friends, chances are they have keys with them. If you find that you have locked yourself out of the house, try to see if you can borrow their keys or have them duplicate it for you to use. If you find that it might be too risky because you may never find your lost key again, opt for a lock replacement. Check for any accessible windows that are easy to open. Some owners are mindful of leaving at least one window open or easy to pry open in cases of emergencies of lockout situations. Check for any other points of entry available in your house before calling in a locksmith service so you can get yourself into your house at least until you get the locks replaced or you find the keys again. If all else fails, and you find yourself time pressed to get into your house and you just can’t find the keys anywhere, remain calm and dial your trusted locksmith on your mobile phone, or the nearest pay phone. A residential locksmith exists in the industry for many decades providing different types of assistance. House owners require the help of these services at various critical stages. Over the past years, the services of home locksmiths have reached new heights with the development of the modern technology. Their services vary from duplication of the keys to programming sophisticated home security systems nowadays. In fact, without the help of a professional locksmith Expert, it will be practically impossible to assure the safety of your residence. Mentioned below are some of the key services offered by locksmiths to assure the security of the houses. Generally, key duplication is the most common and the basic service offered by locksmiths. Over the past decades, with the development of the technology, different types of locks are being introduced and the functionality of the keys has become complicated. However, a professional locksmith can duplicate any of these keys from basic ones to programmable keys. Or some other locks may get broken over the time and therefore a huge demand has arisen in the industry for lock repair works. Again modern home door locks have become exceptionally sophisticated; some of which even controlled over mobile apps. 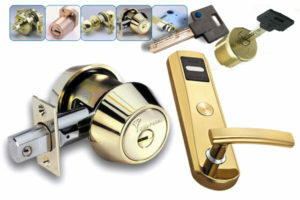 Therefore, it has become a prerequisite for modern locksmiths to know about these automated and programmable locks too. Thanks to the developments, modern vendors are capable of providing home door lock repair work from basics to hi-end security systems. Due to various reasons people may have to replace their locks. 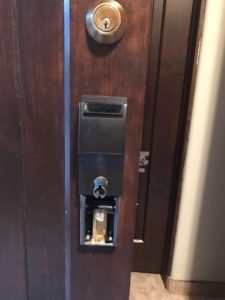 Moving to a new house, security upgrade or suspicious security vulnerability are common reasons for a house owner to look for a lock replacement. When a particular lock is used for a longer period, the necessity for lock replacement will arise. No matter how sophisticated the locking system, you may need to replace it once you have used it for a long time. Going beyond the simple home lock install process, modern residential locksmiths are capable of replacing the entire security system with programmable keys and locks. Due to busy life schedules, people get locked out from their residences and offices quite often. Upon such situation, only a locksmith can provide you the most effective service for the delight of the client and get him out of the situation. 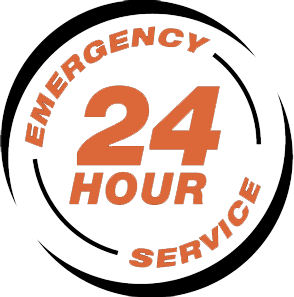 Most of the Home locksmiths rightly offer 24/7 emergency lockout service considering the demand. Modern residences need modern security strategies considering the advance threats available in the society. Conventional unsecure locks hardly can withstand the new level threats. As an effective way to face a new level of threats houses need advanced security options. Contemporary locksmiths are capable of enhancing the security systems to match the requirements of the modern society. Apart from the house you live, you can enhance the security of the areas like garages and storage facilities too. Once the house’s security is strengthened, you can enjoy low insurance premiums as a great value addition. Before hiring a residential locksmith expert, however, it is wise to look for aspects like industry experience, skills, previous work records etc. 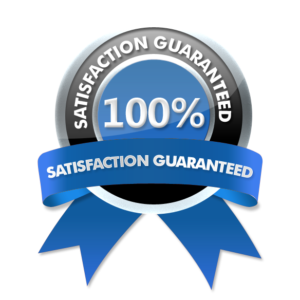 If you haven’t recently used the services of a skilled and certified locksmith, you might be pleasantly surprised by the wide range of services that they are now able to provide. If you have recently moved into a new property you might want to have the locks replaced as soon as possible since you are never really going to be aware of whom else might have copies of the keys to your new home. If you are looking for the more cost-effective option to having the locks replaced you might want to ask for the locks to be re-keyed, which is a service the locksmith are able to offer. When you find that you are caught up in a lockout situation and unable to regain entry to your property due to lost or misplaced keys the best course of action you are able to take is to call on the services of the locksmiths who are often able to give a very efficient service to get you back inside your premises within a short period. If you are in a situation where it might be prudent to upgrade the security due to a recent spate of burglaries in the local area, you are able to rely on the locksmiths to give an all-inclusive service to make sure the locks on the doors and windows are among the most efficient and reliable in the market. It might also benefit to add an alarm system or extra locks if you want to take the home security to the next level. One of the most commonly requested services asked of the locksmith is likely to relate to cutting a new set of keys for the residential property. If you to believe that the lost keys might compromise the security on your home, you might want to look at in the locks changed to stay on the safe side. If you have been the unfortunate victim of a break-in you might want to look at having the locks on the doors and windows upgraded as soon as possible in order to lessen the chances of the same situation occurring again in the future. While you have the attention of the locksmith, you might want to ask about increasing the level of security, which might include the very latest in high-tech security cameras and surveillance systems. The nature of the locksmith services depend on the type of locksmith, who is appointed for the work. There are different types of locksmiths like the car locksmith or auto locksmith, residential locksmiths, industrial locksmiths, etc. An expert advice is very much essential, when it becomes a necessity to hire a professional locksmith. In order to expect good service, it is essential to know the type of services that are provided by them. Car locksmith or the auto locksmith is very commonly known and they are well recognized to provide emergency locksmith services. The emergency services provided by them include servicing the locking keys in a vehicle, resolution of lost keys or breaking a key off in ignition. The locksmith normally uses the auto locksmith tools to handle the situation. Key making and key replacing are also amongst the other services provided by the locksmiths for the vehicle ignition and vehicle doors. One more type of locksmith service is there to assist the home as well as the business owners. There are many circumstances, where the homeowner or the business owner is locked inside the home or business. 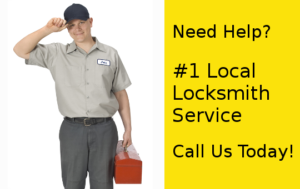 At this point of time, emergency lockout services are very necessary and emergency locksmiths have a major role. These types of locksmiths also meet the requirements of the customers, in case the home is subject to any sort of burglary attempt. 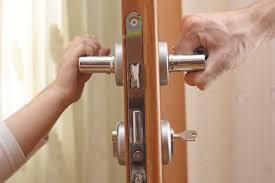 The locksmiths play a major role in repairing the doors or the locks that have been broken. There are many locksmith services that are efficient enough to respond quickly and there is provision to reach them round the clock in a toll free number. So, getting their service is easy and it is just one phone call away. On the other hand, the standard locksmith services include the installation of the residential as well as commercial locks. The type of locks available in the market changes from time to time and the locksmiths are aware of the most recent type of locks that are available. At times, the locksmiths can advise you regarding the type of lock that is suitable enough to meet the requirements of your home and business. Additional services like repairing, changing, or upgrading any type of locks are also provided by the locksmiths to the householders and commercial customers. There are many locksmiths, who offer an advanced set of services to enhance the home or business security. Local locksmiths play a vital role in providing different types of services like alarm systems, remote security sensors and wireless CCTV systems to detect the intruders and monitor the property of your valuable and business. This type of service is very much essential for the business owners, who find it important to restrict access to certain buildings or else secure the business areas. In fact, the nature of locksmiths and their services depending on the location. At times of need, it is advisable to contact the low cost residential locksmiths, who can help in resolving your problem related to lock out issues. Fingerprint readers and other forms of biometric security are becoming big business, but are you, the DIY enthusiast, ready to take on a biometric door lock installation project? Unless you have had experience the answer may be no. Security is a very big business because everybody needs to protect themselves and their possessions from danger. Not everyone is honest these days and that means that people are spending huge sums of money protecting themselves. That doesn’t mean its all spent on installation though. Much of the installation work for security cameras and biometric fingerprint door locks is done by DIY enthusiasts such as yourself. Biometric security is a revolutionary new type of technology which is designed to make unlocking doors, clocking in, and accessing your computer ever than before. Thanks to biometrics it is possible to open doors without needing a key, and it also means that you don’t need to worry about remembering your password to use your computer. But if biometric technology is so convenient then why aren’t more people using the technology? There are actually a few different reasons for this. The most important is that they were traditionally very expensive, while they are more expensive than conventional locks these are much more affordable than they used to be. Although they are affordable there are still problems with these biometric devices. Biometric technology has become much cheaper for a few reasons. The biggest reason for this is because they are now mass produced. Biometric security devices are found on a number of products including computers, and locks. Lots of people are worried about allowing anyone to store their fingerprints on computers. People are petrified about big brother and don’t want anyone to capture something that only belongs to them. Installing a biometric lock is much easier than it used to be as most of these are self contained units. However it is slightly more complicated than fitting a normal lock. It’s very important that you understand exactly how you can install these units so that they are installed safely. Nowadays with all the burglary cases happening all around the world it has become very important that the people make improvements in their level of home security. You cannot predict when a burglary is going to take place and that is why you should be ready for it all the time. The main entry points of the house from where the intruders can get inside are the back and the front door. With the passage of time, there have become so many advancements in security machines to provide maximum home safety to you. These advancements are always compared with the Canadian standards so that you can be satisfied that your money is invested in the right business. In the past, people used to have doors that were not secure enough because they did not close properly and their quality was not up to the mark because they were mostly handmade doors. 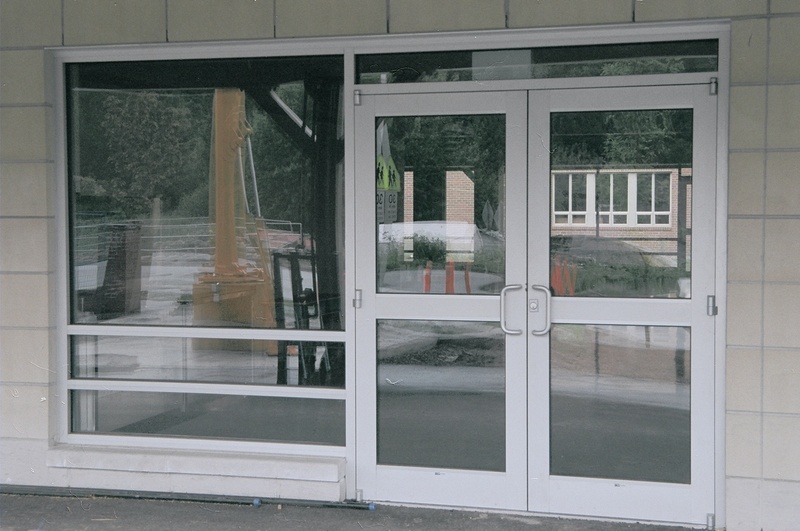 As the time is advancing, new methods have been developed to create improved strong doors that are highly resistible. Their quality and tailoring is excellent that is why they can now easily fit tightly in the place. In addition more features are included like PVCU interiors and steel mesh reinforcing. These features have made the doors sturdier and the steel lock mechanism has made them impossible to break. Front door entries can also occur due to lock banging. It is a process in which the lock is broken by great force applied and there are many doors that are vulnerable to this intruding method. Previously, the modern locksmiths and doors manufacturers were keenly searching to solve this problem and now have come up with measures to bring lock banging to an end. Moreover, today the doors can be installed with solid clasp locks and multi point locking mechanisms for more security. Solutions for other ways of intruding like lock drilling or lock snapping have also come out. These safety characteristics are not only applied to the back and front doors entries but also to the windows and greenhouse doors. So now you must have realized that the reason why new technologies of security systems are expanding so quickly is because of the vulnerability of the burglaries in the houses. 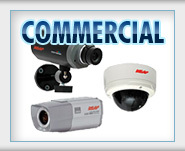 This has also increased the sales and businesses of security system manufacturers. These methods can provide you the safety of your home that you always desired and make your life peaceful.